In a colorful scene straight from the feature film, Stitch finds family from a familiar source, The Ugly Duckling. In this delightful new design featuring the unmistakable style and rich color palette of artist Jim Shore. 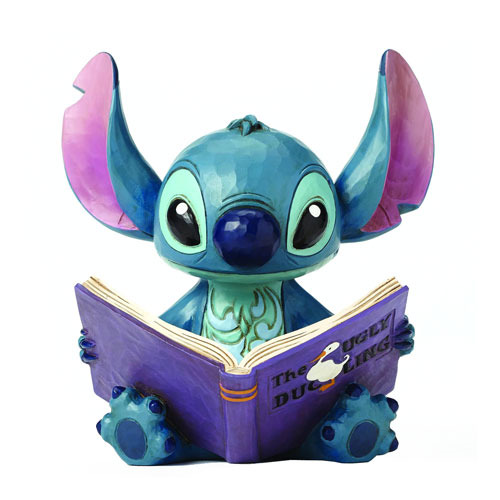 The Lilo & Stitch Storybook Disney Traditions Statue is made of stone resin. Measures approximately 6 7/8-inches x 5 3/4-inches x 3 1/2-inches.